Sometimes it’s fate that brings people together and I’d like to think that I was introduced to Long Dead Signal by a similar method. At a guess, I’d say that most of you are not familiar with their self-titled debut EP and, were it not for a chance encounter only two months ago, neither would I be. Whilst I was attending a function in Nottingham, these guys played an excellent set and, fortunately for me, were handing out free copies of their debut EP. Well, yes it is rather. Despite only being three songs long, and clocking in at a poptastic eleven minutes, it has an twisted feel that is dark in sound and shows that indie needn’t be so boring (or happy). Opening track Again introduces us to the band’s signature, almost dissonant guitar sounds, and the passionate and confident voice that the lead singer possesses. However, on reflection it’s probably the weakest of the three tracks and never quite develops into the finished article, despite the chorus sounding much bigger than it has any right to. Second track Red Lines is how Long Dead Signal should be represented, and features an opening sequence that showcases a mature and confident vocal performance not to dissimilar to a lamenting Thom Yorke, and soon develops into a something more familiar and powerful. Despite the band’s best efforts, Red Lines never loses its unsettling and slightly fragile edge, showing courage that they could easily have shied away from. Final track, Twizzle, is how album opener Again probably should’ve sounded and feels more complete than it’s predecessor. It’s familiar chiming guitar feels much more liberated and complements the grittier vocals better, and although it’s nothing new, Twizzle is a strong track that has a definite sprinkling of Muse about it. Overall then, an interesting and slightly left-of-centre indie record that, despite the below-par production values that blight it, shows potential that might yet see a bigger audience. 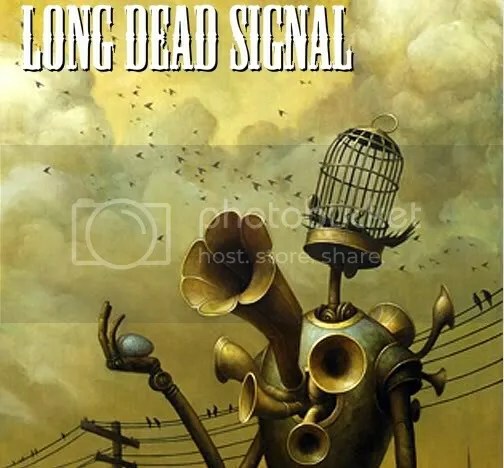 Long Dead Signal is a courageous debut, which is becoming all to rare in the current indie climate. If Indie is your kind of thing, then you could do a lot worse than to check out with these guys. Below is the standout track that shows maturity and fragility, while also maintaining an element of gritiness that should please most Indie fans.